A southern white rhino that was among the first animals at the Rolling Hills Zoo in Salina has died. The rhino, named “Milly,” had to be euthanized Wednesday because of her advanced age and declining health. 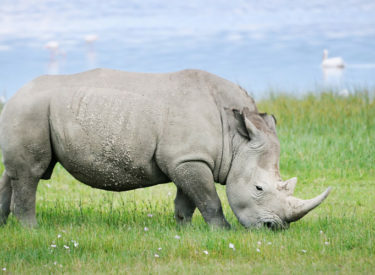 Milly arrived as part of the White Rhinoceros Species Survival Plan in 1996. She was born in South Africa before being transferred to the U.S. The zoo says rhinos live up to 35 years in the wild and up to 40 years in captivity. Milly was believed to be at least 46.